Last week it was reported that a self-driving truck took a 120 mile trip and delivered a semi full of Budweiser beer in Colorado. It is truly amazing how far and fast technology is moving along. For bankers, today we discuss the disruption that is occurring around advisory services you may provide. Here research finds customers are beginning to embrace robo-advice for banking services. Consider a recent survey by Accenture that surveyed more than 4,000 bank customers in the US and Canada. It found 46% said they are willing to accept automated advice for banking services - for everything from which types of bank accounts they should open, to retirement planning and investment advice. Community banks should be aware of this trend, as using robo-advice software and programs is one way to reduce costs related to customer service. It is also a good way to provide customers with more information using online services with more offerings. Until recently, robo-advice had only really been accepted within the wealth management industry. 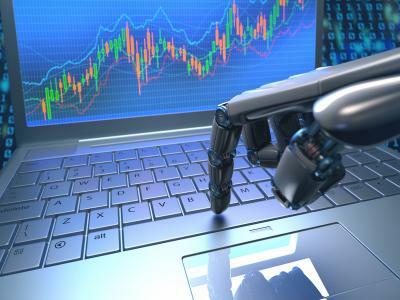 However, as bank customers have become increasingly reliant on the internet and mobile banking services, they have also warmed to the benefits of robo-advice. In particular, bank customers say they like how easy robo-advisors are to use, how quickly and easily they can get the information they are seeking, and the lower costs of making investments this way (vs. paying commissions to traditional investment advisors). When it comes to the specific things bank customers are willing to rely on robo-advice for, 79% say they will use such technology to determine how they allocate investments; 74% will use them to figure out the type of bank account they should open; and 69% say they are willing to use them for advice about retirement. Not surprisingly, the group most open to robo-advisors is millennials, followed closely by the mass affluent (individuals or households with more than $75,000 in annual income and at least $100,000 of liquid financial assets). Beyond the fact that robo-advisors and the investment tools that they provide are new and cutting edge, people seem to like the simplicity and consistency of such services. In fact, Accenture found that 63% of bank customers are willing to provide their banks direct access to their personal information (from credit card data, to student loans to mortgages), if doing so would mean they were able to get information about more services. Despite all of this technological advancement, Accenture also found that 87% of bank customers (including millennials) say they will continue to use bank branches. They indicated they still get more value from their banks when they are able to speak with a person. So it appears that while customers are happy to get general advice from robo-advisors, many still want to speak to a live person when it comes to more elaborate banking needs. What does this mean for community banks? It means it is important to determine the best way to provide customers with an experience where they can balance online advice with real world bankers. While robo-advice gives easy access for a customer, it is equally important for customers to know they still have the option of talking to a real person. Yields dropped 1bp amid mixed economic data and recent news on the Clinton email investigation. Banking regulators announced new cybersecurity standards on the largest banks (and also nonbanks designated by the FSOC) that are likely to eventually trickle down to community banks. The rules standardize cybersecurity management, require resiliency plans, a board approved strategy, definition of internal and external risks, an independent risk management role and other factors. Research by the Society for Human Resource Management finds the head of human resources most often will report to the CEO (36%), followed by president (19%), CFO (13%), Other (12%) or COO (10%). Research by BI Intelligence finds people say they visit a physical branch location the following number of times per month (for reasons other than using an ATM): don't visit (38%), <1x (26%), 1x (10%), 2x (10%), 3x (5%), and 4 or > (6%). IDC reports total spending on servers, enterprise storage, switches and other infrastructure for the cloud is projected to reach $37.4B in 2016 (+16.2% vs. last year). Research by Javelin and KPMG finds transaction costs are up to 13 times higher in an ATM than in a mobile channel. A WYSE Travel Confederation survey of millennials finds the top future success factors indicated by this group are: work experience (54%), university degree (44%), and studying hard (32%). Research by Deloitte finds the top five "must haves" people look for when choosing a credit card are: low/no annual fee (69%), fraud protection services (48%), widely recognized card issuer (46%), low interest rate (45%), and cash back rewards (41%). Research by the Brookings Institution finds the percentage change in middle income household spending on basic needs from 2000 to 2014 was as follows: healthcare (+25%); clothing (-19%), eating out (-13%), food costs in total (-8%), transportation (-6%) and housing (-6%).